Ogee shaped gutters are now extremely popular due to the attractive fluted profile and the large carrying capacity. 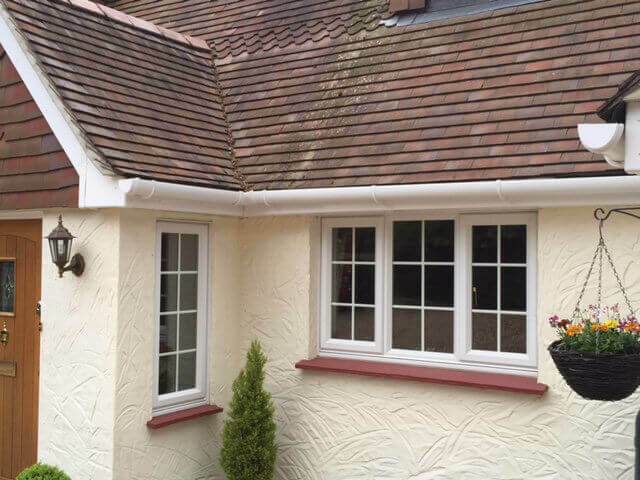 Cast Iron Effect Ogee Gutter in particular is a very sought after style of Gutter as it combines modern performance with a traditional appearance. The shaped profile of Ogee Guttering makes for one important difference when comparing it to Half Round, Square or Deepflow - the gutter and fittings are not symmetrical. This means that all gutter angles and stop ends are unique - angles are either internal or external, and stop ends are right or left handed. Don't worry - it is easy to explain and you will soon get the hang of it. Let's take a look at angles first. On symmetrical gutters such as Half Round or Square you simply turn the gutter angle around to suit internal or external corners on the roof. On Ogee Gutters where the profile is asymmetrical, you need to order the correct type of angle - internal or external. 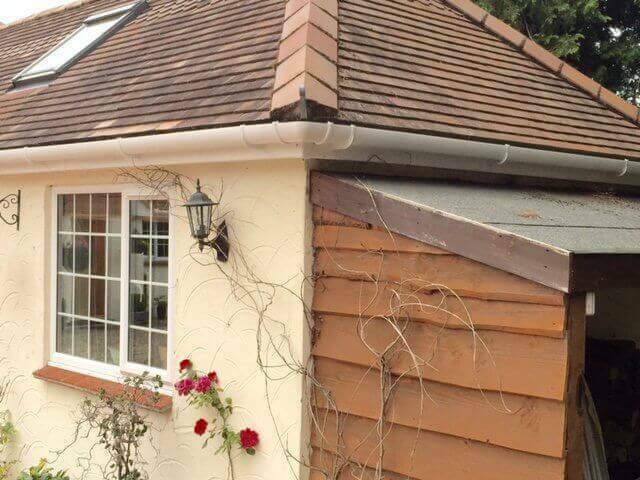 The images below demonstrate the difference between internal and external corners on a roof. With Ogee Stop Ends, because of the profile of the gutter they are handed - either right hand or left hand. Stop Ends are always handed when looking from the front. 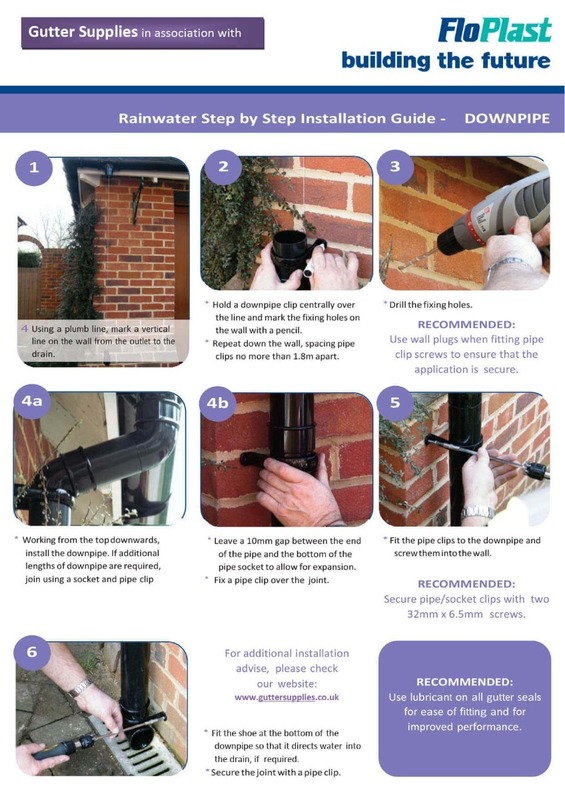 Stand in front of the gutter and you will require a Right Hand Stop End to cap off the end to the right, and a Left Hand Stop End to cap off the left hand end. Remember to do the same when ordering Stop End Outlets. Two things to note here. Firstly, because of the high carrying capacity of Ogee Gutter, you need more fascia brackets - one every 800mm. This means that for every 4m length of Gutter you order you should order 5 fascia brackets. This will ensure that your gutter will be fully supported in periods of high rain or snow fall. 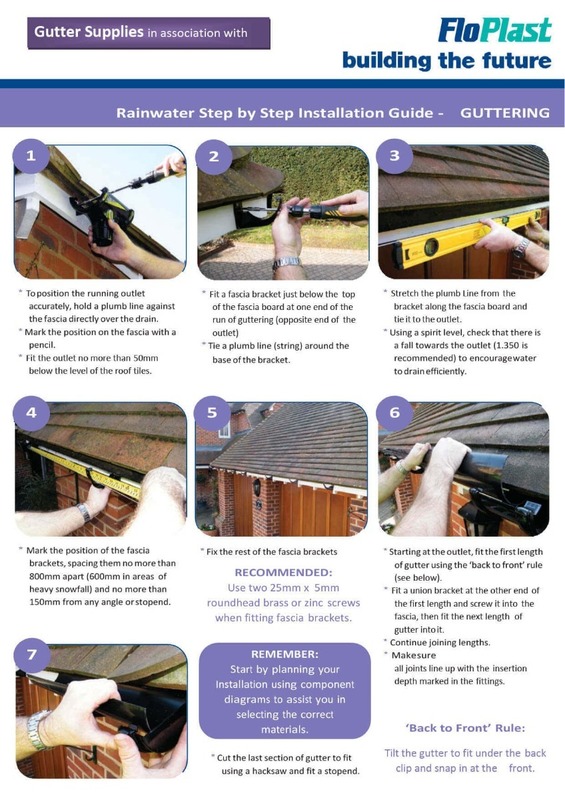 The second point is that the Ogee system includes an optional internal fascia bracket that cannot be seen from ground level, giving a clean gutter line all the away along the eaves. The internal fascia bracket incorporates a lug that fits cleverly into the lip of the gutter profile, enabling it to be top hung. Of course, if you want a traditional appearance then just stick to the standard style fascia brackets. The Ogee Running Outlet can be connected to either 68mm round downpipe or 65mm square downpipe without the need for any adaptors. The neck of the outlet is octagonal in shape, allowing for a simple push fit into either shape of pipe depending upon your personal choice. To print these installation instructions, please click on any part of the images below to download a printable copy in PDF format.